Step into the shoes of the famous emperor himself! Introducing the Caesar Costume. Rule over the costume party like you would rule over Europe in this respectable, royalty-like, and sophisticated costume. 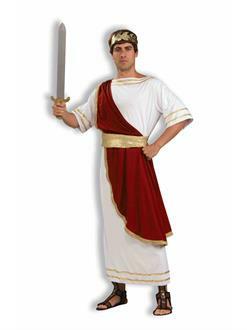 Party all night long with authority in this Caesar inspired costume, and watch as other become your faithful court subjects. A historical figure who has done so much and is known all over the world, why wouldn't you want to be Caesar?